Use your Library card to check out a Hotspot providing you with free, mobile, internet access! Using the SLPL Hotspot, you can connect up to 15 devices and enjoy unlimited data. Library cardholders can request a Hotspot to be delivered to any St. Louis Public Library location through the Library's online catalog. Hotspots may be checked out by adult cardholders (18 years or older) with full access accounts, in good standing. 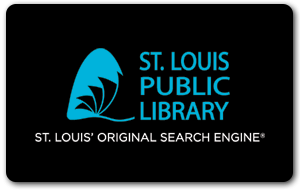 Borrowers must abide by the policies of the St. Louis Public Library, including the Library Technology Acceptable Use Policy. There is a limit of one Hotspot per household. Hotspots can be checked out for 21 days. Hotspots may be renewed if there are no holds. Fines are $1 per day. At 42 days overdue, a replacement cost of $100 will be charged to the cardholder’s account. 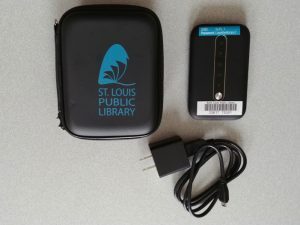 Hotspots may be returned to any St. Louis Public Library location or book drop. They may not be returned to any other library system in the St. Louis area. Service will be disabled once a Hotspot is overdue. You must return the Hotspot with all the original components (Hotspot device, charger, cord and case) for the Library to consider the item checked in and returned. Please fully charge the Hotspot device before you return it. If the Hotspot is lost or damaged beyond repair, a $100.00 fee will be charged to your Library account. The Library’s Hotspot User Guide provides instructions for connecting the Hotspot to your device - laptop, tablet, or smart phone. Instructions are also included on the back of the Hotspot. Frequently Asked Questions provides more information about using the Hotspots.